Yehudit Hendel (1921-2014) was born in Warsaw, Poland, into a rabbinic family, and immigrated to Haifa as a child in 1930. She moved to Tel Aviv in 1980 and lived there until her death. A well-known author, Hendel published novels, collections of short stories and non-fiction works. 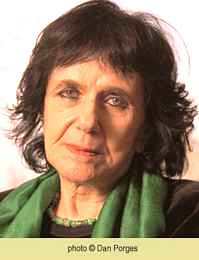 Many of her works have been adapted for stage, screen, radio and TV; her novels and stories have been translated into many languages. 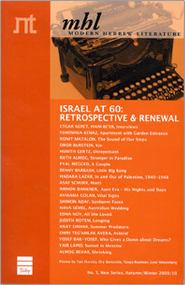 Hendel received several literary prizes, including the Asher Barash Prize (1954), the Prime Minister's Prize twice (1976; 1998), the ACUM Prize (1978) the Agnon-Jerusalem Prize (1989), the Neuman Prize (1995), the Bialik Prize (1996) and the Israel Prize for Lifetime Achievement (2003).